I made this Mike from Monsters Inc. cake for my son’s 2nd birthday. 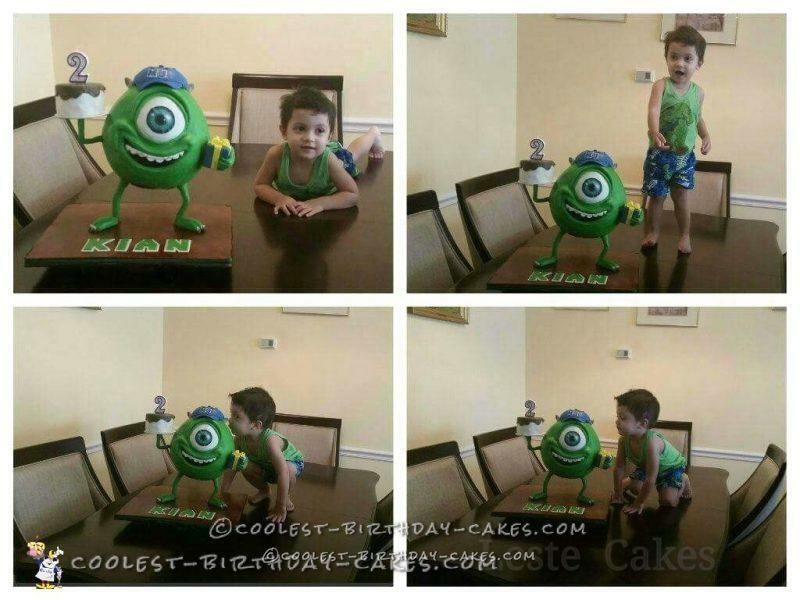 He loves the Monsters University movie and Mike Wazowski is his favorite character. This is a gravity cake and I learned how to make it from online videos and Google. Just like any other gravity cake, I used metal rods for his legs. Pipe could be used instead. The bottom part of Mike’s body is made of styrofoam. The cake was baked in a 9 inch pan. I used ganache because we like the taste more than buttercream icing. I covered the cake with a combination of fondant and modelling chocolate. I airbrushed the cake board. My son didn’t understand that it was his birthday, or that I put so much effort into making his cake. He has no idea that he had an amazing cake. 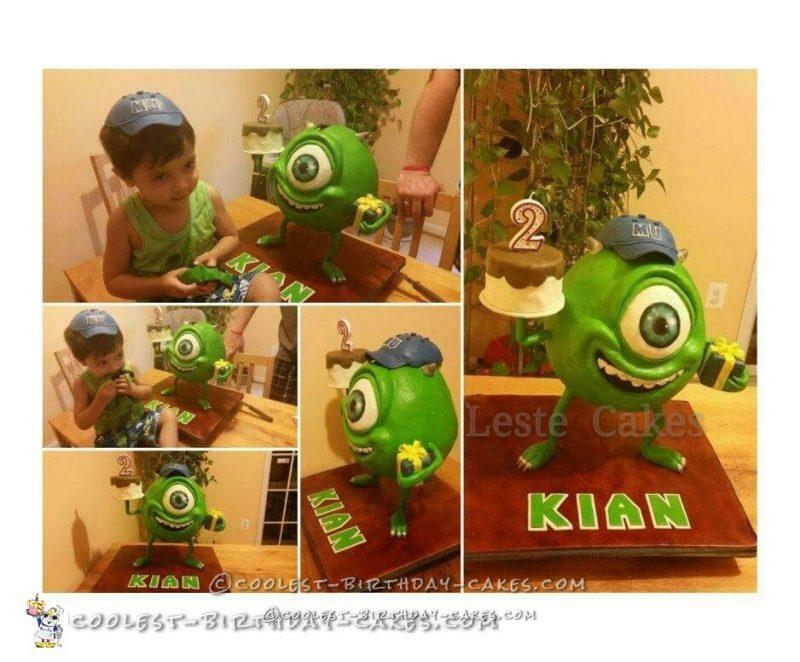 Someday when he grows up, I know that he will be very proud of his cake and of his mom for making it for him.